Create your very own Push Pin Travel Map to track your travels with our Blue Ice Do It Yourself Travel Map Kit. This map of the World, with its stunning shades of blue and unique gradient effect, is our own exclusive design that you won't find anywhere else. This blue monochrome map is up to date and has the capital of each country highlighted with a star. Our Blue Ice World map kit is an excellent choice for people who enjoy traveling around the world and want a visual representation of their travels. 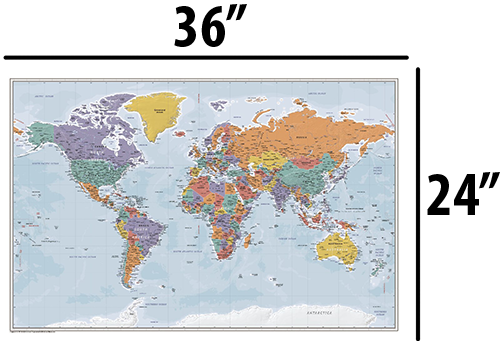 Our Do It Yourself Travel Map Kit comes with the 24" x 36" paper map rolled in a tube, 100 map pins in a mixture of red, white and black, a personalized plaque and instructions on how to mount and frame the map yourself. 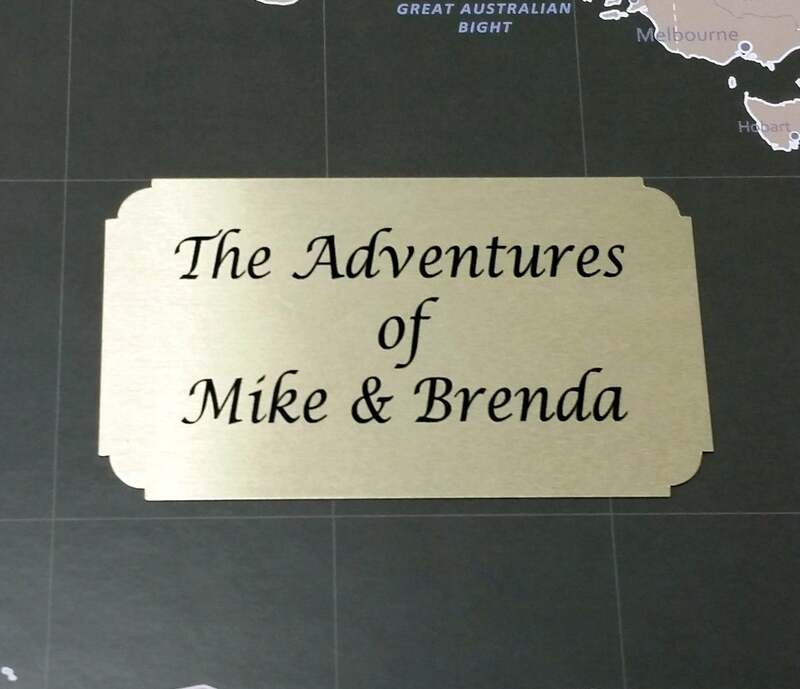 Each map kit comes with a personalized plaque so you can make the map your own. The plaque will come with double sided engravers tape so you can put it on the map wherever you like after it is mounted and framed. Need some inspiration for what to put on your plaque? Feel free to check out our personalization ideas for some of our more popular quotes and sayings. Plaques may contain up to 3 lines of text with a maximum of 25 characters per line. Please contact us if you have something special in mind that is slightly longer, and we will see what we can do! Every Push Pin Travel Map kit is hand crafted in The United States and is a fun Do It Yourself way for your to track past travels and plan future trips. We recommend having the map professionally dry mounted at a local hobby store for a relatively small fee. However, doing it yourself is relatively easy and we include instructions on how to mount and frame the map yourself with your purchase. Each map comes with a set of 100 pins in a mixture of red, white and black. Designate each color as you choose. For example red pins for his travels, white pins for her travels and black pins for travels together. The options are endless. Need more than 100 map pins? Additional map pins, in a variety of colors can be purchased here. The map comes unframed so you are free to pick any frame you want that suits your personal taste and style. The map can be framed in a 24" x 36" frame. This is a standard size that can be found pre-made at most hobby stores. Good news! Since our DIY Push Pin Travel Map Kits are shipped rolled in a tube, they can be shipped worldwide for a relatively small cost. 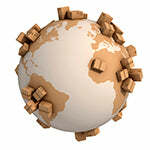 This saves you a small fortune on shipping internationally when compared to our Framed Push Pin Travel Maps. I got this as a present for someone for Christmas and it's so great. I had a question for Brenda and she got back to me very quickly. The customer service I received was top notch and I'm very grateful. Highly highly recommend! Gave this to my husband and he loved it! We had a fun time marking the places we have been and added airplane push pins for future destinations. It looks lovely hanging in our home.